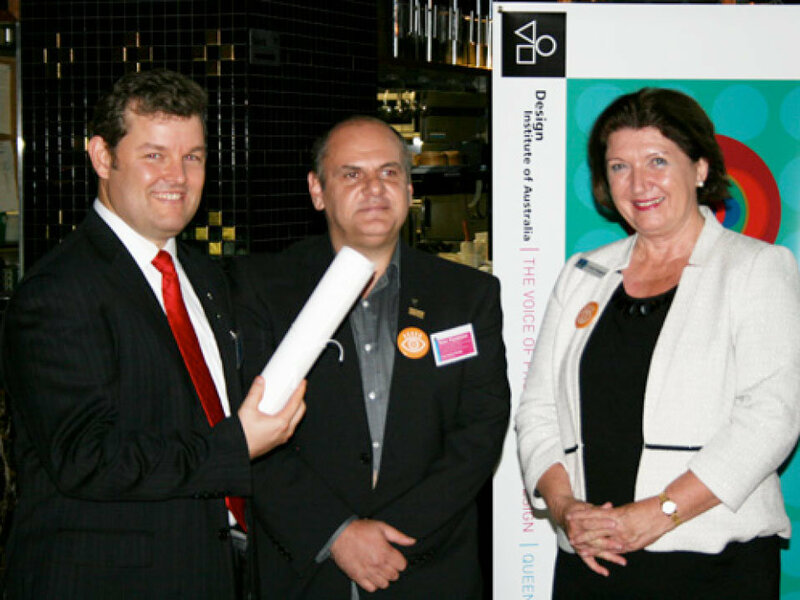 We’re proud to announce that our Studio Manager Bradley Stock was bestowed a fellowship of the Design Institute of Australia (DIA) on Monday night at the Vision 2014 event. His long-term support of the Institute and his outstanding work as a graphic designer have not gone unnoticed and Bradley was delighted to accept the honour. The nomination also acknowledges Brad’s work for the past 7 years as a mentor to university students as part of the official Griffith University mentoring scheme.